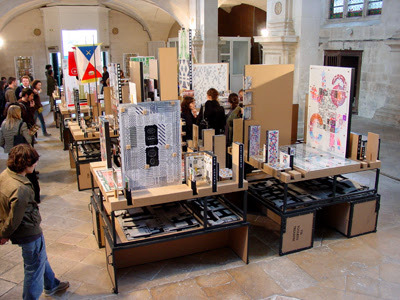 Some pictures from the fabulous installation of Richard Niessen’s (TM-City) at the Chaumont Poster Festival. 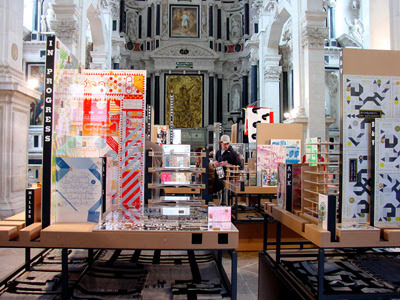 TM-City has eight neighbourhoods, made out of more than 150 works by the Dutch graphic designer Richard Niessen. Niessen’s method can be described as ‘Typo-graphic Masonry’ (TM), for he builds with graphic elements like fonts, shapes and colours. In TM-City Niessen takes it all one step further and actually builds a city out of his designs: flyers are stacked to form skyscrapers, posters are laid out to become parks. TM-City is fully traversable. People can walk down the streets, named after Niessen’s sources of inspiration, such as Richard Rogers and Eduardo Paolozzi. 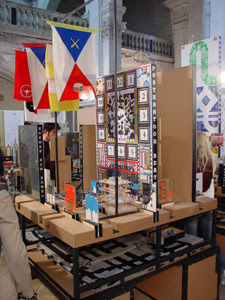 TM-City also has been designed to be mobile and easy to transport. Each neighbourhood, individually wrapped in handmade covers, fits inside its wooden base. 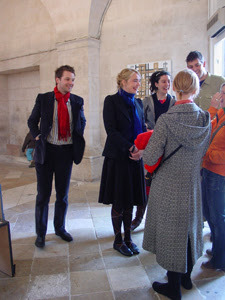 From 12 May to 24 June 2007, TM-City forms a gesamtkunstwerk inside La Chapelle, the Baroque chapel in Chaumont, France.